Our range of products include salisbury by honeywell voltage detector, salisbury rescue hook, honeywell insulating rubber mats and gloves inflator kit - g100. Self-Testing Voltage Detectors are used to verify live or de-energized conductors. These testers may be used with insulating rubber gloves or hot sticks using the splined universal end fitting. Testers indicate voltage with an extra bright LED light and a distinctive audible signal. It is recommended that the tester be moved closer to the conductor until a warning is indicated, or it touches the conductor, apparatus, or test point. Each tester includes three “C” batteries. The need for additional PPE can be minimized by confirming that there is no electrical hazard present before work is performed. This can be determined by using a Salisbury Voltage Detector attached to a insulating hot stick of a length long enough to keep the worker outside of the arc flash boundary. Because the Salisbury Voltage Detector alarms in the proximity of electric fields, it is not necessary to make physical contact with the equipment being checked. Because it is made of non-conductive materials, it will not conduct electricity and not cause an arc flash even if contact with energized equipment is made. 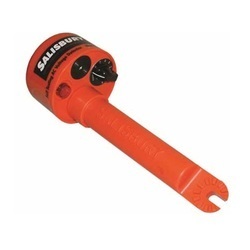 · Salisbury’s insulated rescue hook is used to release a victim from contact. · Confined spaces, in vaults, or just near electrical cabinets and switch Gear are some of the places where this tool is a must. 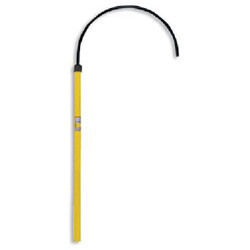 · Insulated rescue hooks feature a foam-filled, fiberglass reinforced handle for superior electrical insulation and a coated, heat treated body hook with an 18” opening and are made in accordance with ASTM Standard F711. · Rescue Hook Fiber Glass Stick production is 100% electrically proof tested. · Rescue Hook Fiber Glass Stick blanks pass a test of 100kV/12” (305mm) for 5 minutes without detectable heating prior to being accepted. · Hot Stick blanks conform to ASTM F711 requirements. The Honeywell Insulating Mats provide a unique solution to protect workers against electric shock across substations, transformer rooms, LT and HT control panels, electrical switch rooms for AC and DC installations, battery rooms, and generator set rooms. tested as per IS 15652 2006. 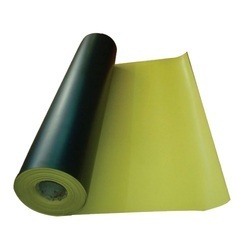 Patented dual-layer technology Bicolor Mat The two colors and two layers of the mat serve the purpose of mechanical damage indication and give hint to replace the mat when color change is visible on the surface. Flame Retardant In case of flammable liquid spill or spark, fire will not propagate. Tested as per IS 15652 2006 Clause C-5.1. Shock Proof Protect flooring from damage in case of heavy material impact. 100% virgin material Longer and reliable life. Certified by IS 156522006 Ensures the minimum regulatory requirements for India. Tested by the reputed ERDA laboratory. Moisture and water repellant Easy to clean. Hassle-free maintenance. Category 3 Product Not affected by acids, transformer oil, alkali, and diesel. Good Electrical properties Protects against desired voltage class as per IS 15652 2006. DC & AC protection Suitable for both DC and AC electrical installations. Insulation Resistance Excellent insulation mechanism up to 10,000,000 M with 500 V Megger. Class B Thickness 2.5 mm, Working Voltage 11 KV, AC Proof Voltage 22 KV, Dielectric Strength 45 KV.